For many Wisconsin residents, spring break is on the horizon. After a long, harsh, snowy winter (did we mention long? ), families in our area are looking forward to heading someplace warm and sunny to refresh. For most people that means packing swimsuits along with hats, cover-ups and sunscreen for sun protection. Do you know your house also requires protection from the elements? But rather than sunscreen, your home needs up-to-date siding. Just how important is the siding on your home? 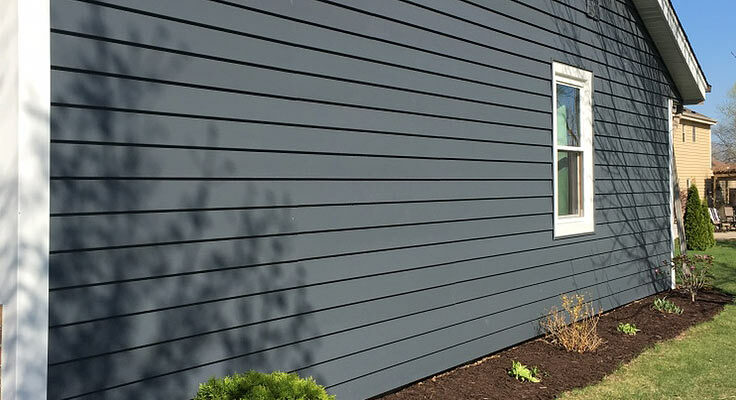 Siding offers protection to your interior drywall, dramatically affects your building’s appearance, and helps your home maintain its interior temperature. What happens when your siding is old and damaged? 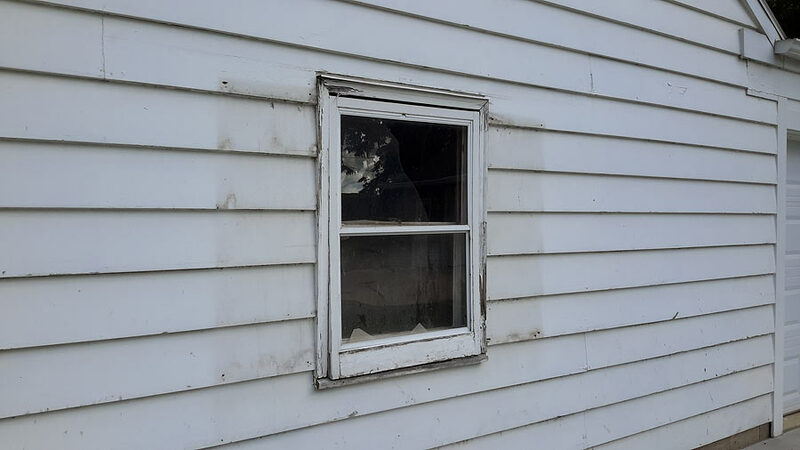 Damaged siding allows moisture to seep inside your home, potentially causing untold damage. You may not see it immediately. But believe us—you’ll feel it down the road in your bank account! So what are the six signs that you need to replace your siding? 1. Peeling paint or sagging wallpaper inside your home. Worn out siding allows moisture from the outside to seep into your home’s walls, which can of course result in peeling paint and/or sagging wallpaper. Have you been repairing and patching peeling paint and sagging wallpaper more than every five years? Your siding could be the culprit. 2. Siding cracks and holes. Cracks and gaps in your siding certainly don’t project the outward appearance you’re after. But more importantly, they expose the underlying wood to moisture and wildly fluctuating outside temperatures. They also allow insects and local woodland creatures to infiltrate your home. Is that your wake-up alarm? Nope—it’s baby mice throwing a party in your walls. 3. Siding has begun to rot or crumble. If you have wood siding, keep an eye out for brittle panel sections that are on their way to crumbling or have powder around their edges. 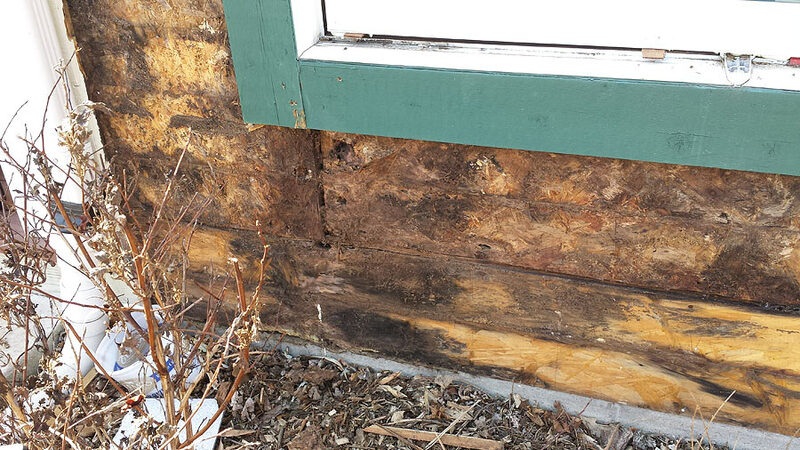 When moisture penetrates wood fibers, it causes the siding to break down and produces the tell-tale powder. 4. A lot of evident external wear and tear. Do you have siding that no longer lies flat? Can you see cracks, chips and fading? These can all be indicative of severe underlying damage. 5. Increasing heating and cooling bills. Rising energy bills are an indication that your siding may be damaged. As siding ages it loses its effectiveness, so maintaining your home’s comfort level requiring additional energy. 6. Interior moisture, mold and mildew. Mold is not something you want to mess around with. According to the Center for Disease Control and Prevention, mold can cause intense reactions for those who have allergies to molds, asthma or weakened immune systems. If you notice any of these signs, particularly interior mold and mildew, you should reach out to a siding technician for an expert opinion right away. Not only will new siding keep you healthier and reduce energy bills, it will also help with your home’s resale value. At All American Window & Door Company we carry LP SmartSide siding, Crane Siding and American Craftsman. Stop by our showroom, check out our siding page or call us today at 262-255-7170 and say let us restore the exterior of your home with replacement siding that protects your home from the harsh Wisconsin elements.